William Lashley was granted 1,050 acres of land. This property would later be subdivided with 525 acres becoming part of Airy Hall Plantation (5, p. 3).
?  Robert Wright was the plantation's next owner (5, p. 3).
?  Robert Wright's son-in-law Thomas Shubrick owned Airy Hall next (5, p. 3). 1768  Shubrick conveyed the property to Dr. James Skirving (5, p. 3). 1770  Dr. Skirving gave 1,100 acres along the Ashepoo River to his daughter Elizabeth and her husband Philip Smith. Philip Smith constructed a house with river views (5, p. 3-4). 1787  Philip Smith died and his wife Elizabeth had preceded him in death. Airy Hall passed to their daughter, Charlotte and her husband Philip Smith. Philip Smith had received a grant in 1786 of 288 acres that adjoined Airy Hall (5, p. 3). 1797  Philip Smith died leaving his land property to son Philip Skirving Smith (5, p. 3). 1810  Philip Skirving Smith died unwed and it is believed Airy Hall passed to his sister Charlotte Smith Price (5, p. 3).
?  Charlotte's son Philip Smith Price was the plantation's next owner. Philip also owned Llandovery Plantation which he inherited from his father's side of the family (5, p. 3). 1866  Philip Smith Price died leaving the plantation to his wife to be held in trust for their daughter Marie P. E. Price Farmer (5, p. 4). 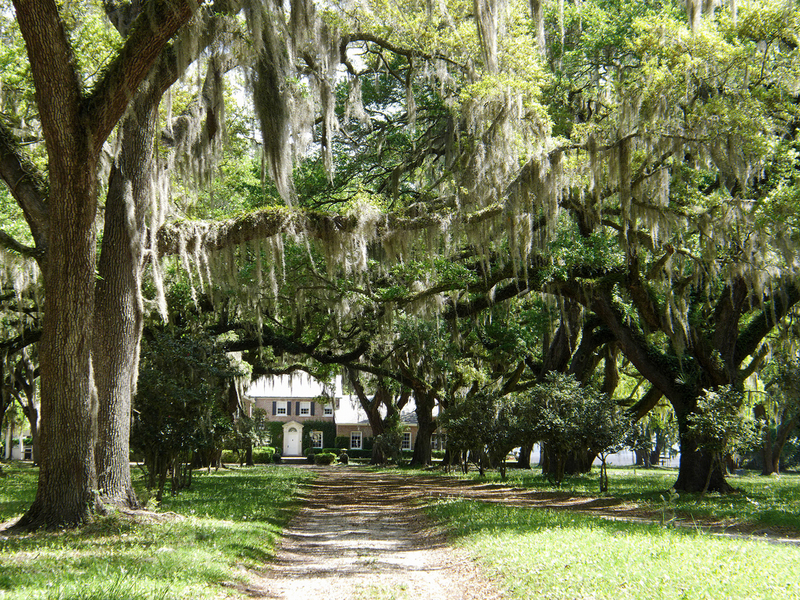 1872  2,000 acres of the plantation were sold a sheriff's auction to pay for back taxes. John D. Warren purchased the property at this time (5, p. 4). 1872  After the auction, Emma N. Farmer Price Sanders, Maria Farmer's daughter, filed suit to reclaim the property. She was successful. Airy Hall was returned to Maria Farmer and recorded with its antebellum boundaries (5, p. 4). 1906  The plantation remained in the family until this year when the E.P. Burton Lumber Company purchased the plantation from Maria's children, Emma Hickman, W.Ivan Farmer and Pearl Farmer (5, p. 4). 1907  E.P. Burton Lumber Company combined Airy Hall with Cow Pen Point, Chapman Fort, Smilies Plantation, and Palmetto Island. This combined tract was sold to William Godfrey, John W. Maynard, and James P. Maynard (5, p. 4).
?  L. H. Smith purchased the combined tract (5, p. 4). 1928  Robert G. Elbert purchased the property from Smith and called the combined tract Airy Hall. There was a modern brick house at this time located in the same area as the house built by Philip Smith. Elbert would develop some of the property into a golf course (5, pp. 4 and 440). 1939  Mrs. Robert G. Elbert owned Airy Hall Plantation (8). 1941  P.O. Mead and A.N. Manucy purchased the plantation for approximately $200,000 from Mrs. Robert G. Elbert. The plantation consisted of 16,000 at the time of this transaction (9). 1941  Mead and Manucy sold 12,000 acres of the property, including the house, to Lawrence Barringer, a hotel owner from Columbia. Mr. Barringer planned to use the house for his personal use and supply his hotels with products cultivated at the plantation (9). Circa 1960  Albert Love owned the plantation (7, p. 29). 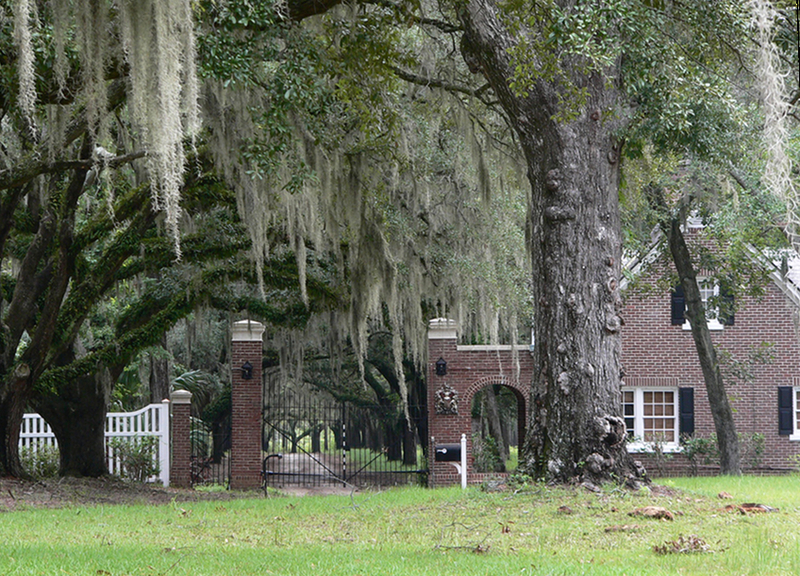 1995  The plantation was owned by Mr. and Mrs. Harry "Buck" Bancroft Limehouse (5, p. 4). Suzanne Cameron Linder, Historical Atlas of the Rice Plantations of the ACE River Basin - 1860 (Columbia, SC: South Carolina Department of Archives and History, 1995), pp. 1-4. Information contributed by Alida Ward from a draftsman's drawing of Airy Hall 1939. Information contributed by Ramona L Grimsley, Digital Projects Librarian for Berkeley County Library, from an article in the Charleston Evening Post dated July 24, 1941.